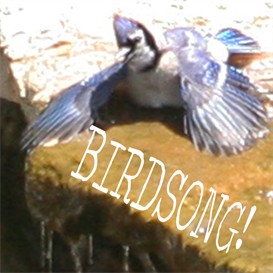 This 15 minute recording contains a collection of birdsongs from different habitats found in the Midwest and Northeastern US. Over 100 species of birds can be heard in the 15 minute track. No narration is included. The recordings were done in Wisconsin. 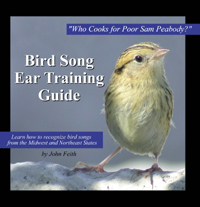 They can also be heard in the Bird Song Ear Training Guide CD (for learning birdsong identification) and the Birds, Birds, Birds! DVD. The CD and DVD include narration and tips on how the learn birdsongs.